If you’ve been to the Animal Friends campus lately, you have undoubtedly noticed there is something new and exciting going on. (Perhaps the cranes, dump trucks and bulldozers gave it away!) 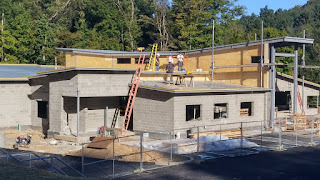 Construction on our new Howard Ash Animal Wellness Center has been underway since February – and is nearly complete. The Howard Ash Animal Wellness Center, with a grand opening of July 15, is designed to become a life-changing and life-saving destination for hundreds of thousands of animals – and the people who love them. It is the embodiment of our commitment to do better for the pets who are struggling most in our region. All too often we see pets relinquished to Animal Friends simply because their owners couldn’t afford basic vet care or food. We receive call after call about stray and feral cats who are relegated to a life on the streets fending for themselves and continually adding to the pet overpopulation problem. Or sadly, our Humane Police Officers are called to rescue pets who have become victims of neglect and abandonment because the pet’s owner didn’t know where to turn for help. We believe affordable and accessible resources are the solution. And, that’s just what our new Animal Wellness Center will provide. With this progressive 18,400 sq. ft. facility, we will be able to increase our commitment to affordable spay/neuter from 10,000 surgeries each year to 15,000 surgeries. We will reach into underserved communities to provide spay/neuter and wellness services along with education and, when needed, transport to our clinic. Our heavily demanded Chow Wagon Pet Food Bank will benefit from a storage and drop-off/pick-up area to ensure donated food is quickly distributed to the regional food pantries where it is needed most. And our Humane Investigations Department will have the space they so desperately need for evidence storage, case management and review and animal holding spaces. The discounted services we will offer, targeting those with greatest financial need, are not intended to undercut private veterinary business in our region. Rather it is our intent to complement private clinics supporting those who may not be able to afford care any other way and referring clients to full service veterinary clinics for a proper continuum of care. The grand opening of our Howard Ash Animal Wellness Center is fast approaching! Every day brings more progress and the realization that in just a few short days we will be affecting the lives of so many more pets and pet owners in this region. 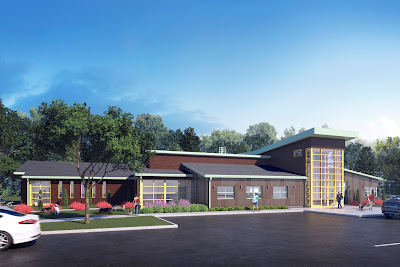 The services and resources of the Howard Ash Animal Wellness Center will certainly allow us to deliver on our commitment to keep pets in their homes – healthy and supported – where they belong. Visit ThinkingOutsideTheCage.org or call us at 412.847.7000 to learn more about the Howard Ash Animal Wellness Center or to find out how you can get involved. I will be very impress to read this informative article. This is very awesome. I would like to see this post. Without fail, Animal Friends is doing a great job! One of my best friends has experienced its services. I also know one more service like it that values to its customers, DMV Pet Care - Washington, DC. It is great in many ways.